Will the boys from Beantown go back-to-back? The baseball oddsmakers certainly think so. 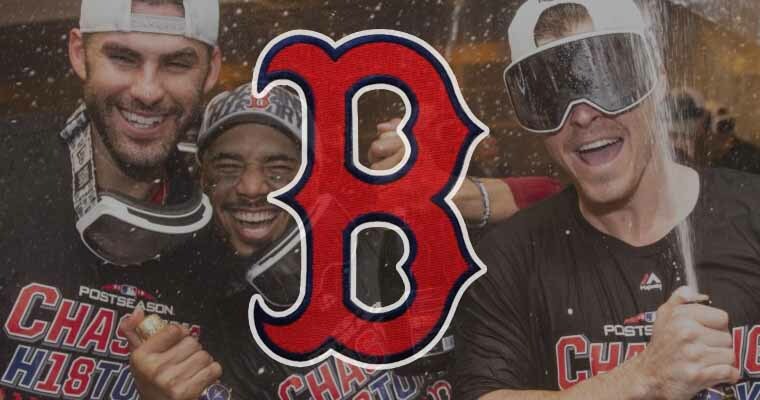 After the Boston Red Sox won the 2018 MLB World Series with a 5-1 victory over the Los Angeles Dodgers in Game 5 on Sunday night, Bovada released their odds for each team to win the championship next season and made the Red Sox the favorites, giving them the best odds at (+650). The Red Sox capped off a remarkable 108-win season with the 9th World Series title in franchise history, which ties the team with the Athletics franchise for third-most championships for any team. The St. Louis Cardinals are second with 11 titles, and the New York Yankees are first with 27 titles. The Red Sox came into the 2018 season as the sixth-most favored team with odds at (+1200) to win the World Series, meaning the bettors who wagered on the preseason line won twelve times the money they originally bet. The Cleveland Indians are sixth for this season and are also getting (+1200) for 2019. However, despite losing decisively in five games to the Red Sox in the 2018 ALCS, the Houston Astros come in at the number two with odds at (+700), likely because of their strong 2018 season after winning it all in 2017. Following their second loss in the World Series after appearing in the Fall Classic in the past two seasons, the Dodgers come in third with odds at (+800) for those who believe the third time is the charm. Here is a complete list of Bovada’s current odds to win the 2019 World Series.